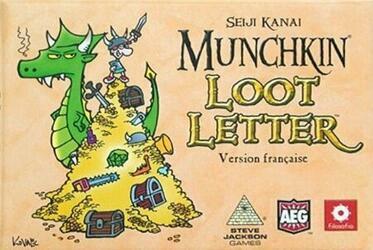 Munchkin Loot Letter is a game of risk, deduction and luck! The meeting of Love Letter and Munchkin: steal the treasure from the dungeon, betray your friends and all this in sixteen cards! Simple rules, easy to learn. The fun and fast mix of Munchkin and Love Letter. Contents of the box : 16 cards, 4 game aids, 13 loot markers, 1 game rule.